Arlene here with Tutorial Thursday. 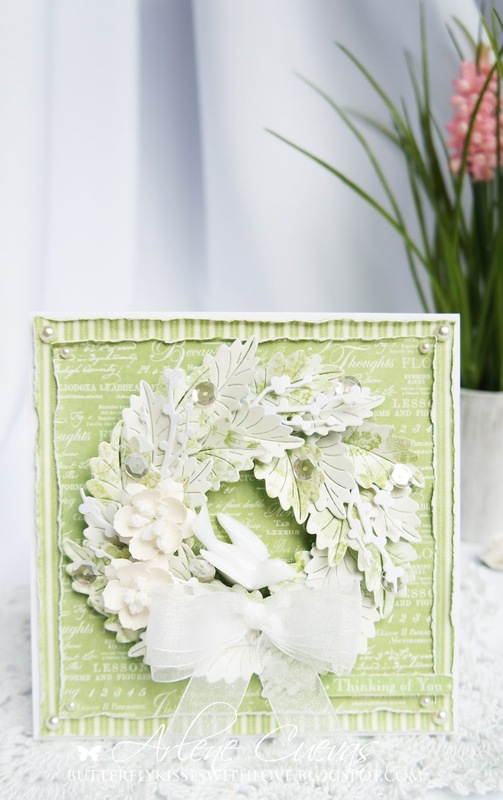 Today I'm going to show you how I created the Spring Wreath that I shared on a card for yesterday's Inspiration Wednesday project. These wreaths are super fun to make and quite easy! My wreath features La La Land Crafts Two Leaves die, Cherry Blossoms Flower die, Winter Branches die and Stitched Nested Circles die. Here is the video tutorial to show you how to create the wreath! Thanks so much for stopping by today. Hope you give one of these wreaths a try! What a lovely wreath, thank you for the tutorial! this tutorial/card are fantastic !! !